DAZN, the live and on-demand sports streaming platform, today announced its boxing broadcast team. The legendary Sugar Ray Leonard and Brian Kenny will call the action, Kay Adams and Chris Mannix will host each fight night, and LZ Granderson will report from ringside. They will work their inaugural event as a unit when world heavyweight champion Anthony Joshua defends his WBA, WBO and IBF belts against Alexander Povetkin on Sept. 22 from Wembley Stadium in the U.K. Beginning in October, the team will broadcast all Matchroom USA fights on DAZN including the previously announced Vargas vs. Dulorme on Oct. 6 and Saunders vs. Andrade on Oct. 20. Leonard will provide ringside analysis for the fights, drawing on his Hall-of-Fame career as a six-time world champion, Olympic gold medalist and a legendary sports icon of the 20th century. As a fighter, Leonard’s skill and speed were matched only by his guts and heart. In a golden era of boxing, he took on – and prevailed against – many all-time greats. Out of the ring, Leonard has enjoyed a long broadcasting career working with ABC, NBC, FOX, ESPN and HBO. Kenny will serve as the blow-by-blow announcer. Winner of seven Sports Emmy Awards, he has spent more than three decades in boxing, covering the sport for ESPN, Showtime and FOX. Prior to his current anchor role with MLB Network, Kenny spent 14 years at ESPN, anchoring SportsCenter, Baseball Tonight and Friday Night Fights. On Friday Night Fights, he hosted the biggest names in boxing from Joe Frazier to Rubin “Hurricane” Carter to Floyd Mayweather. Kenny is a recipient of the BWAA Sam Taub Award for excellence in boxing broadcasting. Leonard and Kenny last worked together in 2017 when they called the international broadcast of the Mayweather vs. McGregor super fight and have appeared together on screen across multiple networks over the past decade-plus. Adams and Mannix will host each broadcast. Adams is best known for hosting Good Morning Football on NFL Network and DirecTV’s Fantasy Zone. Mannix is an award-winning boxing writer for Yahoo Sports and has worked as a ringside reporter for NBC, Showtime and EPIX. He currently hosts the popular Yahoo Sports Boxing Podcast and has also covered the NBA for multiple outlets over the past 15 years. LZ Granderson will handle ringside reporting duties for DAZN. The award-winning journalist has covered everything from the NBA and tennis for ESPN to national politics for ABC. In addition to his work in television, Granderson can be heard each weekday on “Mornings with Keyshawn, LZ and Travis” on ESPNLA 710, is a senior writer for The Undefeated, and writes for CNN. He also co-hosts livestream coverage of world premieres for Marvel Studios and was a co-host of the popular ESPN TV show SportsNation. Early action at each Matchroom USA fight night will be called by broadcast veteran Todd Grisham and former world champion Sergio Mora. Additionally, Akin “Ak” Reyes and Barak Bess, known for their boxing shows on Sirius XM Radio and ThisIs50.com, will interview some of the biggest names in the sport throughout fight week. 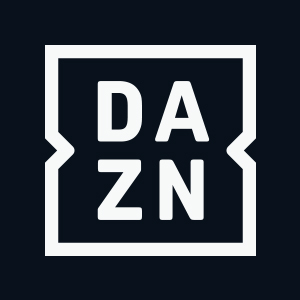 Fans can sign up for DAZN for only $9.99 per month – following a one-month free trial – by registering at DAZN.com or by downloading the DAZN app on a wide range of connected devices, including smart TVs, PCs, smartphones, tablets and game consoles. For more information, fans can follow DAZN’s U.S. social channels: @DAZNUSA on Facebook, @DAZN_USA for Twitter, and DAZN_USA for Instagram.